Eva has a Master of Science in Food Technology and Nutrition from Sweden (2014]), and Master of Science in Sports and Exercise Nutrition from the UK (2018). She moved to Dubai in 2018 to take a position with Beyond Nutrition, where she continues to pursue her passion. Eva enjoys all types of sports and physical training activities – everything from yoga to tennis, alone or with a team. So she understands the importance of diet in achieving optimal performance. 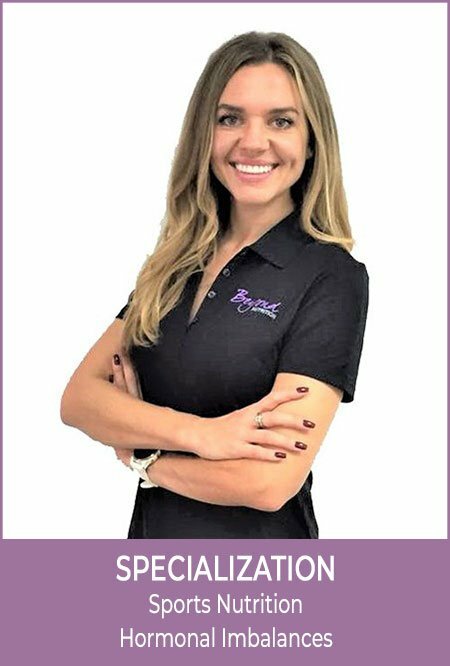 Whether assisting with weight loss or educating fellow sports enthusiast on what to eat to raise their game, Eva has a passion for enabling others to achieve their goals, and nothing gives her more satisfaction than seeing them succeed. As a nutritionist who leads an active and fulfilling life herself, Eva is passionate about educating and motivating others to do the same. According to Eva, the secret lies in accepting greater responsibility for our health. It’s all about adopting a healthy lifestyle and taking a positive attitude towards the food we eat. Eva sees her primary role as an enabler – encouraging clients to cultivate rigorous lifestyle habits and teaching them that diet is the central pillar of a healthy life. Apart from her chosen career and her sporting interests, Eva also has a passion for travel and the outdoor life – something she attributes to having lived in five very different countries. She loves experiencing different cultures, experimenting with new cuisines, and getting to know the local people & culture.